We’re all aware that if we want to lose weight, one of the most important factors is lowering our calorie intake. After all, the simplified explanation of whether we gain weight, lose weight, or remain the same is based on whether we are consuming or expending more calories. But what you might not know is that the amount of calories you eat may also be linked to how long you live. New research suggests that cutting back on calories could mean you’ll make it to a ripe old age. The study, which took place at the National Institute on Aging in Bethesda, Maryland, found that eating fewer calories was associated with a potential lifespan increase of up to 18 years.1 The caveat in this case is that these results were shown in rhesus monkeys, and the outcomes of animal studies are frequently not replicated in humans. But this is not the first research to show that there are major benefits to eating lower-calorie diets, so it might be worthwhile to consider whether people could also reap some of these benefits. Another thing to consider is that we are now consuming considerably more calories than we did just a few decades ago. As Jon Barron has mentioned before, in 2003 the average person consumed 523 more calories on a daily basis than did the average person in 1970. So perhaps it’s not such a surprise that our rates of chronic conditions such as diabetes, cardiovascular disease, and certain cancers are all on the rise despite the advances of modern medicine. So unless you are extremely thin with a body-mass index of lower than 18.5, cutting back on your caloric intake might be good for you. We’re not talking about severe caloric restrictions here of the kind you might find on a rapid weight-loss plan overseen by a doctor. Instead, you can find ways to shave down your calories that add up quickly and really won’t make you feel deprived at all. As Jon Barron explains in an Anti-Aging blog, caloric restriction is proven to slow aging but you must maintain the optimal intake of essential nutrients. Start by taking a good, hard look at your meals. Are you really placing the emphasis on nutrition? You should be basing the majority of your calories on fresh vegetables and whole fruit, and lean and natural forms of protein such as fish, poultry, beans, and nuts, plus some whole grains. But cut way back on your intake of refined carbohydrates and sugars, as these promote aging in the body. Use spices for extra flavor, but avoid sauces and cheese as toppings as they will boost your calories needlessly. Drinks are another area in which you can cut your calories substantially by changing a few habits. Water should be your go-to beverage. It’s your best way to remain hydrated and it’s calorie-free. Teas are fine too, as long as you’re not adding sugar. Drink coffee and fresh-squeezed juices in moderation, but not daily. And when it comes to fresh juices, dilute them with water. Skip the store-bought juices, sports drinks, sodas, and similar beverages entirely. They offer a treasure trove of empty calories and oftentimes an assortment of chemicals. Your snacks don’t have to be a source of excess calories, either. If you pass over the chips, cookies, and ice cream, you can choose treats that actually offer you some nutrition at a fraction of the caloric intake. Try pumpkin seeds, mixed nuts, or cut-up vegetables as healthy, filling items between meals. Introducing a fresh vegetable juice fast can be very beneficial too. You can include it in your diet every now and then or make it a regular habit one or two days per week. Fasting lowers your caloric intake, can help clear toxins from the body, and has been associated in studies with greater longevity as well. Keeping your calorie count down to a healthy number, approximately 2,000 for most men or 1,500 for most women, will certainly help you lose the excess weight that can contribute to so many diseases and help you live a longer, healthier life. 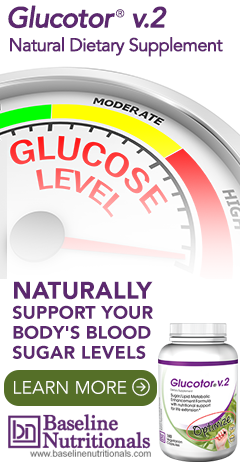 And since most of us aren’t good all the time, you might want to consider a sugar metabolic enhancement formula to smooth out any insulin spikes, which can help mimic some of the effects of a low calorie diet. 1. Mattison, Julie A.; et al. "Caloric restriction improves health and survival of rhesus monkeys." Nature Communications. 17 January 2017. Accessed 21 January 2017. http://www.nature.com/articles/ncomms14063. 2. Colman, Ricki J.; et al. "Caloric restriction reduces age-related and all-cause mortality in rhesus monkeys." Nature Communications. 1 April 2014. Accessed 22 January 2017. http://www.nature.com/articles/ncomms4557. What’s more, a 2007 study at the Pennington Biomedical Research Center in Baton Rouge, Louisiana showed that lower calorie intake in humans results in less oxidative damage to muscle cells, which may explain why it promotes a longer lifespan. Civitarese, Anthony E.; et al. "Caloric Restriction Increases Muscle Mitochondrial Biogenesis in Healthy Humans." PLoS Medicine. 6 March 2007. Accessed 22 January 2017. http://journals.plos.org/plosmedicine/article?id=10.1371/journal.pmed.0040076.